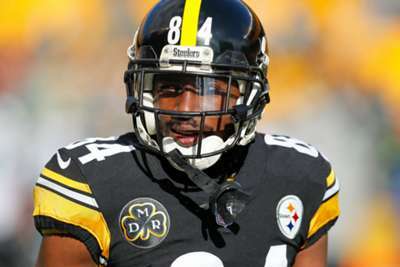 Pittsburgh Steelers head coach Mike Tomlin has announced wide receiver Antonio Brown has been disciplined for missing a team meeting on Monday. Brown's agent Drew Rosenhaus had said on Tuesday his client did not show up to work for personal reasons and that it had nothing to do with recent incidents, which included Brown getting into an argument with a coach during Pittsburgh's 42-37 loss to the Kansas City Chiefs and sending out a tweet about being traded. "He and I met yesterday for an extended period of time," Tomlin told reporters on Wednesday. "I'll leave the nature of that conversation between us. There was discipline involved for his missed meeting on Monday." Steelers quarterback Ben Roethlisberger added that any frustration Brown had was understandable after Pittsburgh's disappointing start. "I think that he's the best in the world," Roethlisberger said. "When you're the best in the world, you want to help participate, you want to win football games. We're all a little frustrated that we're not winning right now."